Shopping for a new Lexus NX? The F Sport trim may up the visual intrigue, but stick to the base Lexus NX with all-wheel drive for the best results in terms of comfort and value. The 2019 Lexus NX remains a boldly styled, comfortable compact luxury crossover with solid standard features. The 2019 Lexus NX is a compact luxury crossover SUV that presents a bold alternative to its understated German and American rivals. 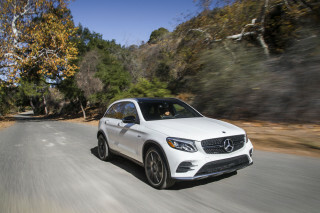 Following a visual refresh last year, the 2019 NX carries over with few changes, other than the deletion of Molten Pearl as a paint color on the NX 300 and newly standard Apple CarPlay compatibility. While the NX was first considered brash for its angular looks when it launched as a 2015 model, other competitors have caught up, and we’re used to the bold looks by now. The F Sport model adds both visual and handling intrigue to the sheet metal, but inside, the NX is reserved and business-like with high-quality materials and a variety of upholstery colors. What was the NX 200t became the NX 300 last year, maintaining its 235-horsepower turbo-4 and either front- or all-wheel drive with a 6-speed automatic transmission. For those looking for more frugality at the pump, the NX 300h hybrid mates an electric drive system with a 2.5-liter inline-4 for a total of 194 hp. The NX’s strong suit is in its comfort and features, with supportive front seats that are adjustable many ways, though the rear seats are less supportive than ideal. Leg room and head room is good for both front and rear passengers despite a shorter wheelbase than competitors, and cargo room is more generous than its sloping roofline would suggest. The 2018 NX was an IIHS Top Safety Pick+ award winner and with no changes, should repeat the honor for 2019. 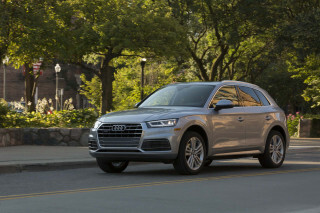 It also received a 5-star overall rating from the federal government, and comes with several active safety features like automatic emergency braking as standard. With a low base price of around $36,000, the NX is well-equipped out of the box, and offers lots of options for those looking for luxury features. The F Sport trim adds lots of styling flourishes but not much in the way of increased performance. Lexus has also finally added Apple CarPlay as standard for all 2019 NXs built from October 2018 onward, a welcome addition because its aging infotainment system can be a pain to use. The 2019 Lexus NX is extroverted outside, comfortable inside, and more familiar by the year. The NX received a slight visual refresh in 2018, yielding new headlights and taillights and a slight revision to its “spindle” grille, though most won’t notice the subtle changes. The F Sport trim turns the styling up to 11, with an even larger grille, bigger wheels, a lower body kit, and more visual flourish, especially in a bright blue or red paint job. Inside, the interior stays the same, which is fine by us as this is one of the best-executed cabins in its segment. The dashboard design is reserved compared to its shouty exterior, and puts all the necessary controls front-and-center, though the infotainment screen is still controlled through a finicky touchpad on the center console. A palette of muted silvers, grays, black and wood trim are pleasing to the eye, and the F Sport package adds the option for an intriguing dark red and black upholstery. The 2019 Lexus NX is outpaced by its competitors, both in turbo-4 and hybrid form. The 2019 NX keeps the same powertrain options for this year, meaning buyers have the choice of either turbocharged or hybrid propulsion. The NX 300 (nee NX 200t) is powered by a 2.0-liter turbocharged inline-4 that makes 235 horsepower, and comes standard with a 6-speed automatic transmission and either front- or all-wheel drive. The hybrid NX 300h uses a 2.5-liter 4-cylinder with a battery electric system to manage 194 hp total, and comes standard with all-wheel drive thanks to electric motors powering the rear wheels. The NX 300h uses a continuously variable automatic transmission (CVT). The turbo-4 provides decent thrust in the NX 300, but it can feel unrefined. Overall, the NX 300h is smoother and offers more linear, predictable acceleration. Opting for the F Sport package on the NX 300 adds all-wheel drive and some visual goodies, but does not increase engine output. However, the suspension is tweaked slightly and more aggressive 18-inch wheels and tires make the F Sport more enjoyable to drive on a curvy road than the standard NX. Also, F Sport models get a special “Sport+” mode that increases throttle response and keeps engine revs higher for longer, and pipes some augmented engine noise into the cabin. In general, the NX is geared for comfort and quiet, with a light steering effort and not much body roll for a crossover SUV. The 6-speed automatic on the turbocharged NX shows its age with sluggish shifts, and holding the accelerator down on the hybrid can cause an incessant droning from the CVT. Below 30 mph, the 2019 NX hybrid can be switched into an electric drive mode that keeps the gas engine shut off until it's used up its hybrid battery charge. The 2019 Lexus NX is comfortable and quiet inside, though front seat passengers get a better experience than those in the rear. Though its length is within an inch or two of most competitors, the NX has a relatively short wheelbase, which has a negative effect on interior space. Front seat passengers are treated to comfortable, multi-power-adjustable seats with supportive cushions and a slightly lower seating position than competitors, yielding plenty of head room. The F Sport model comes with even better thrones that are superior, and have side bolstering for spirited driving. In the rear, the NX’s short wheelbase comes calling, as the seat cushions are flatter than they should be and leg room could be better. 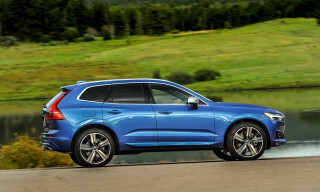 The sloping roofline makes it more difficult to see out of the rear window, and though the rear seats have the ability to recline with power operation, this is a car to drive rather than be driven in. The standard synthetic leather has a tough feel that should wear well, while the optional real leather is a luxurious treat. Cargo space is also adversely affected by the short wheelbase, with only 54.6 cubic feet with the seats folded down, among the lowest in its competitive set. With the seats in place, that number shrinks to 17.7 cubic feet, and the sloping roofline makes taller, boxier items more difficult to haul. The 2019 Lexus NX is a safety superstar, both in terms of crash test results and standard active safety features. The 2019 Lexus NX also managed a five-star overall rating from the federal government, though frontal and rollover crash tests only yielded a four-star result. As far as the IIHS scores go, the NX received a “Good” score in every test including headlights, as well as “Superior” for its standard front crash prevention technology. 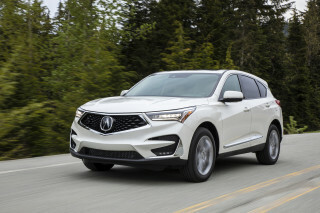 A full suite of active safety tech is standard on all NX models, including automatic emergency braking, lane-departure warnings, adaptive cruise control, and automatic high-beam headlights.The NX’s sloping roofline makes for poor rear three-quarter vision, though this problem isn’t unique among compact luxury crossovers due to strict requirements for roof strength from the NHTSA. The 2019 Lexus NX comes well-equipped out of the box, but a clunky infotainment system is hard to overlook. 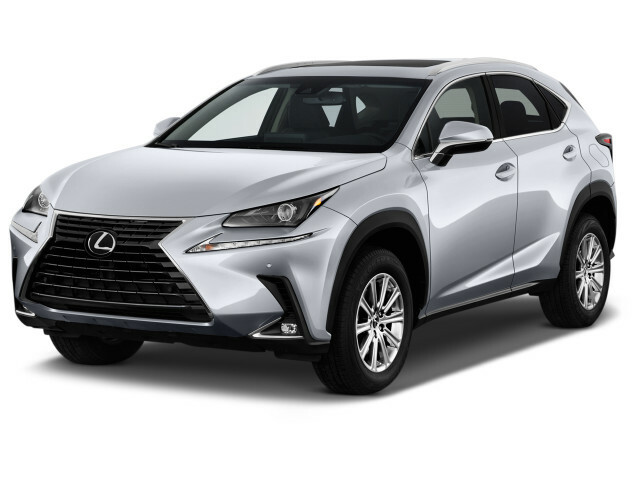 For a base price of around $36,000, the 2019 Lexus NX comes very well-equipped as standard, and can be had with many optional luxury features. The 2019 NX comes standard with many features you should expect from a luxury crossover SUV, including 17-inch alloy wheels, dual-zone climate control, power-adjustable front seats, an 8.0-inch screen, automatic headlights, and Bluetooth connectivity. 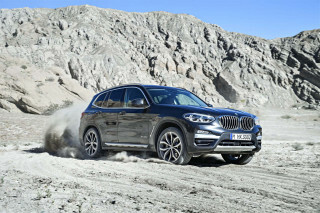 For 2019, options remain the same, including the Comfort package which adds heated and ventilated seats, and a blind-spot monitoring system. The Luxury package includes leather upholstery, a power-operated tailgate, wood trim, and the self-dimming mirrors and blind spot monitoring system that the Comfort package also includes. With all-wheel drive, leather, and a few options, the NX 300’s price balloons to about $46,000, but that’s not out of line with its rivals. Opting for navigation nets buyers a 10.3-inch infotainment screen that unfortunately doesn’t upgrade the frustrating user interface or performance. Thankfully, Apple CarPlay compatibility and Amazon Alexa integration were added to the 2019 NX beginning in late 2018—seek one out with these features for a much improved experience. The 2019 Lexus NX offers good fuel economy in hybrid form, but is average otherwise. 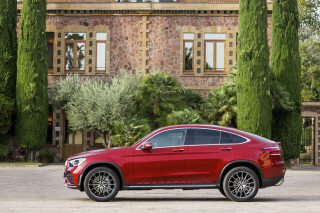 The base, front-wheel drive NX 300 is rated by the EPA at 22 mpg city, 28 highway, 25 combined, while the all-wheel drive version drops the combined figure by 1 to 24 mpg. Because of its bigger wheels, the F Sport version of the NX 300 also loses 1 mpg on the highway figure, totaling 22/27/24 mpg. Naturally, the NX 300h hybrid is the fuel miser of the bunch, managing 33/30/31 mpg, though some gas-powered competitors come close without the help of a hybrid powertrain. Rated on its own, the NX 300h hybrid would earn 6 points on our scale. All versions of the Lexus NX run on costlier premium unleaded.